For those of you in the residence life you probably recognized the NACURH acronym, but I realized tonight how much the North East Affiliate of College and University Residence Halls has impacted my decision to pursue student affairs. It all started five years ago when I first applied to my undergraduate institution in 2010. Little did I know, in April of the following year I would go on an overnight observation that would change my life. During this overnight I shadowed a current education major, which also happened to be the current treasurer of Residence Hall Association (RHA). It was this overnight visit where I attended my first RHA meeting and where—in retrospect—I feel in love with student leadership and higher education. During this meeting I was asked if I would join RHA if I were to attend Endicott to which I said, "of course." I joined my hall council freshmen year and kept my word, joining RHA as a general body member. March of 2012, I attended my first NEACURH conference at RIC (Rhode Island College) and fell in love with the moose-tastic spirit. This single conference inspired me to become a bolder student leader on-campus, helping to coordinate RHA's new program Guerrilla Karaoke and Endicarnival. Fellow RHA members noticed my growing enthusiasm and I was elected as our group's treasurer & NCC for 2012-2013. Of course, my excitement for RHA did not end in May of 2012. As our former president liked to say, I “spear-headed" our RHA's Building Block bid and then in April 2013 I applied Endicott RHA for the NACURH small-school conference scholarship and shouted with joy when we discovered we won. 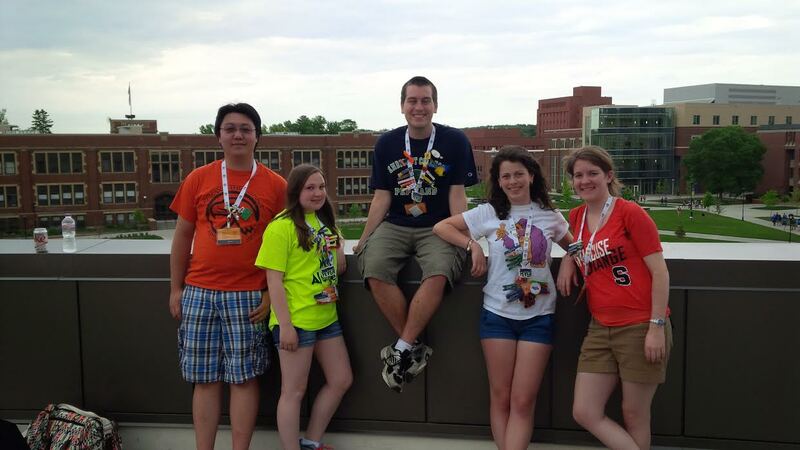 Flash-forward through the next two years and NACURH 2013 was the starting point to my future career. You see, it was this very conference where our delegation decisively decided we were going to bid to host a regional-level conference entitled “Ahoy Marty,” and it was this conference where I received the famous, “you could do this as your career” speech from our delegation advisor. 2am after boardroom and here I am in Pittsburg thinking my voice is burnt out and I am exhausted, but I want to be here. 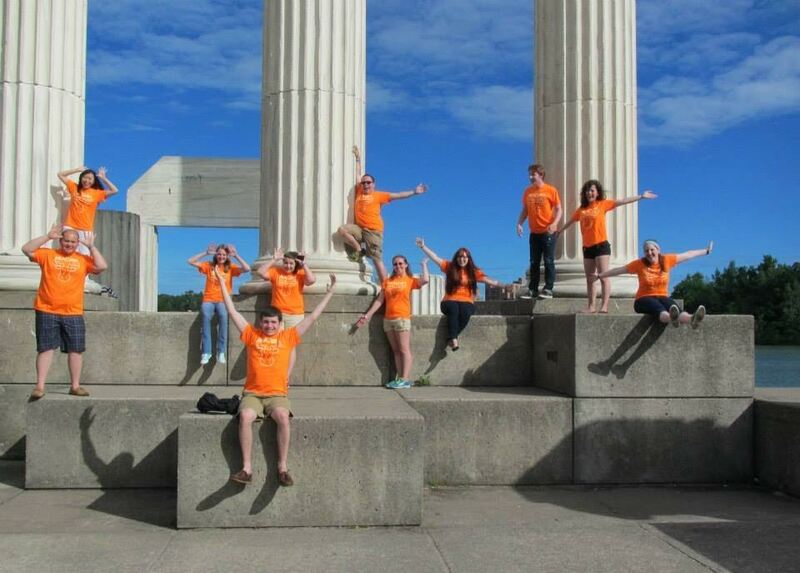 Two more years of hard work and our small, but mighty RHA did go on to bid and host NEACURH Minis 2015, Ahoy Marty! Discovering Teamwork. 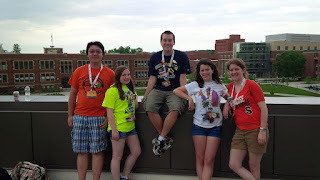 I still cherish this experience and consider our conference crew a part of my second family and since that initial moment at NACURH 2013 I have loved learning about student affairs and higher education. Perhaps this love comes from my lack of knowledge as a first-generation student and only child, or perhaps this drive to learn more comes from all of my friends and mentors in NEACURH. Either way, I want to thank all of those who I have met over the past five years for your (moose)love, encouragement, challenge and support. I have no idea where I would be today without knowing you all.